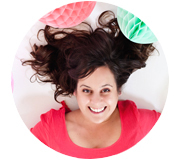 Inside: A fun and festive frozen Easter eggs treat! I’ve always had a soft spot for a good ice cube and these frozen Easter eggs are just about the most fun festive ice cubes imaginable! 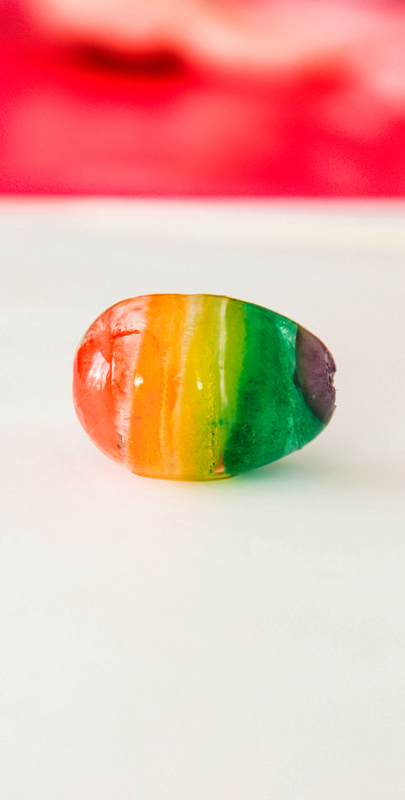 In the past, we’ve made everything from hearts to balloon ice cubes, even glitter ones just for kicks. This year, we are surprising our guests with Easter eggs frozen right in their drinks… for a fun new twist on a favorite springtime punch. 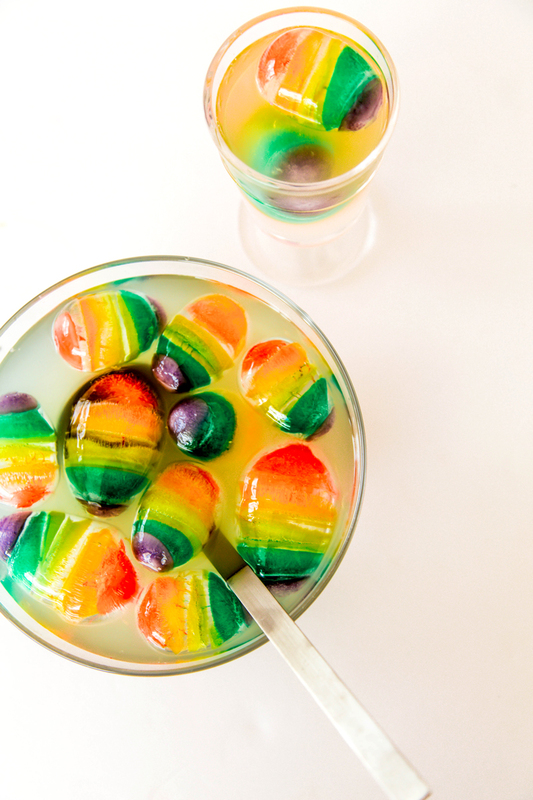 One of the reasons I love these frozen Easter eggs is the layered colors and how great they look in a pretty spring drink. 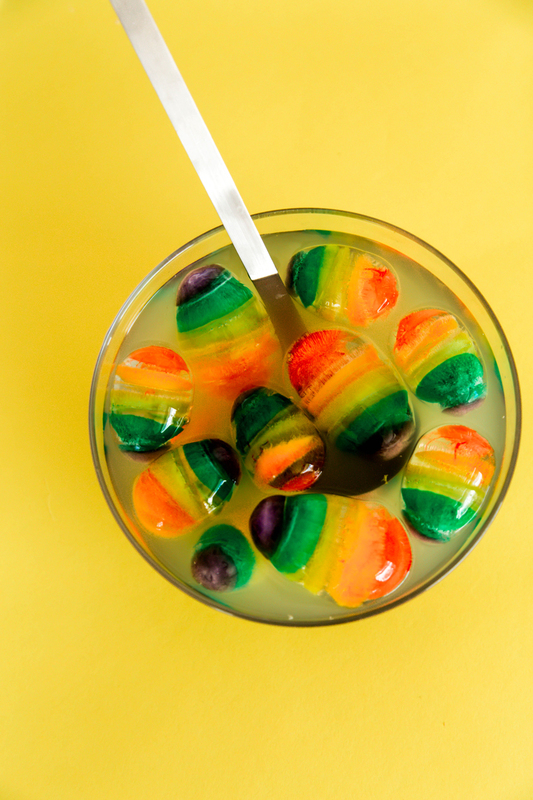 We took the inspiration for this from these amazing ice cubes and layered and colored until we had an almost dyed look to our frozen Easter eggs. 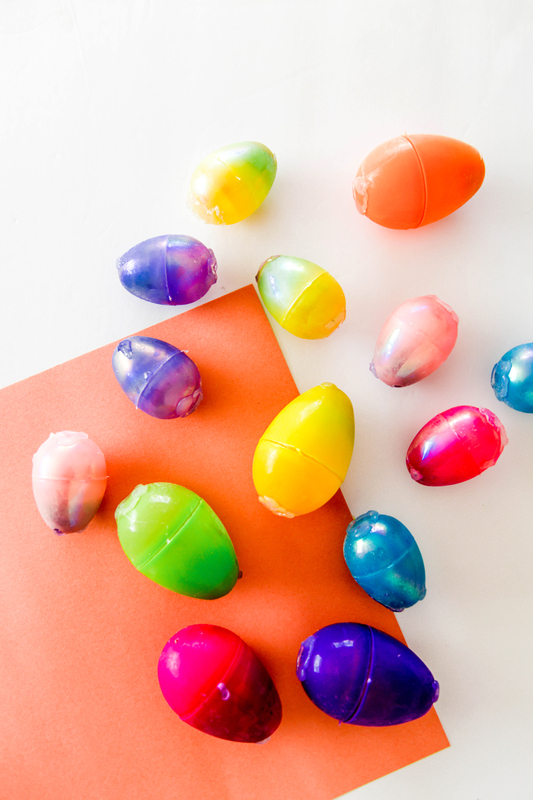 I’m a big fan of all the Easter egg crafts, but when it can be frozen and colorful – it obviously lands as my favorite of the bunch. 1. Open all the plastic eggs. Taking the top piece of the egg to make a hole large enough for the syringe tip to fit into. Our eggs already had holes in them so we gently twisted an Exacto knife through one of the holes to stretch it bigger. 2. Using a hot glue gun, dab glue on all the holes to make the eggs watertight. If you don’t have an empty egg carton in hand we glued a circle of glue on the bottom egg section so the eggs would stand upright in the freezer on their own. 3. Mix your first watercolor. Fill a bowl with water and a few drops of food coloring until you reach your desired color. 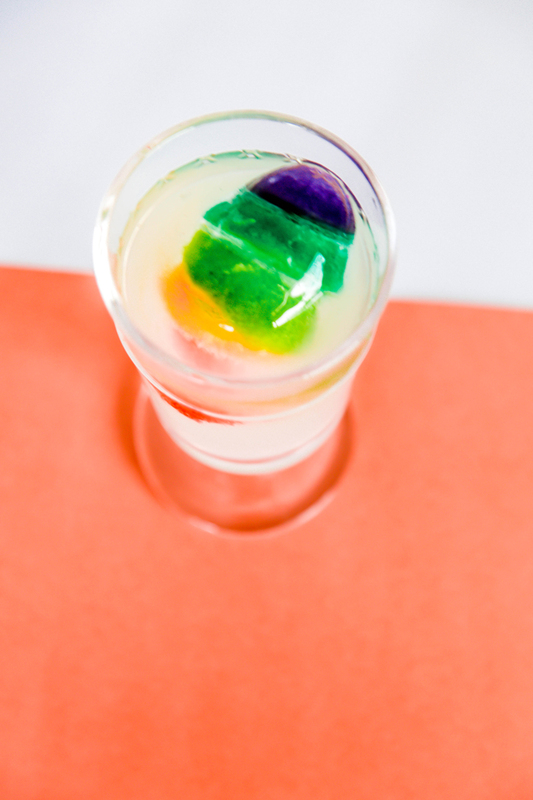 Fill your syringe with the colored water and fill each egg with a small portion of water. 4. Place the eggs in the freezer for 1-2 hours to allow the water to freeze, making your frozen Easter eggs. 5. 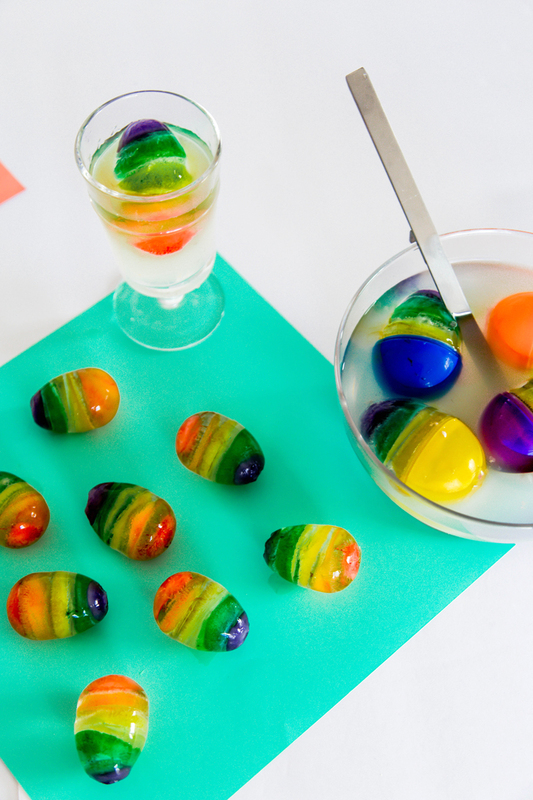 Once the color is frozen, prep your next color and fill a layer of each egg again. Repeat these steps on each egg until you reach the top. 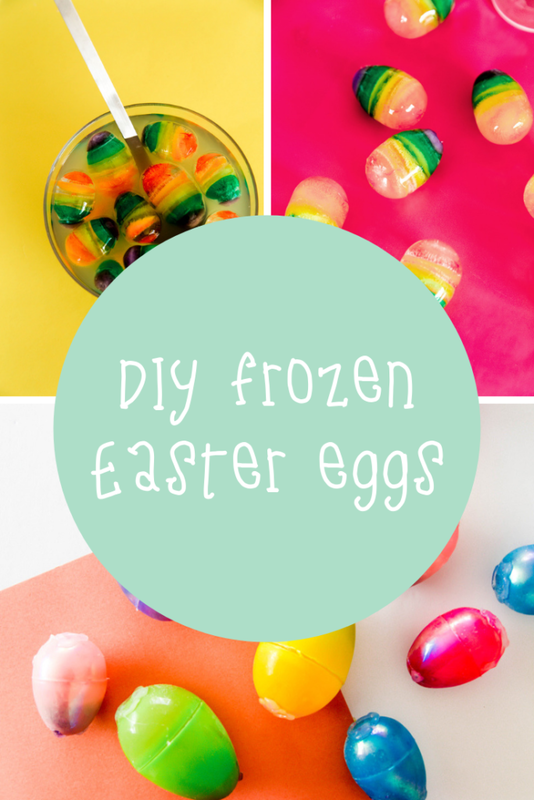 Then freeze the Easter Eggs until solid for Easter party fun! Once the frozen Easter eggs are completely frozen remove the plastic eggshell. You may want to run under some warm water to loosen the ice. Plop these festive ice vibes in your beverage of choice and enjoy! The will instantly liven up every Easter drink handed out this year. PS. 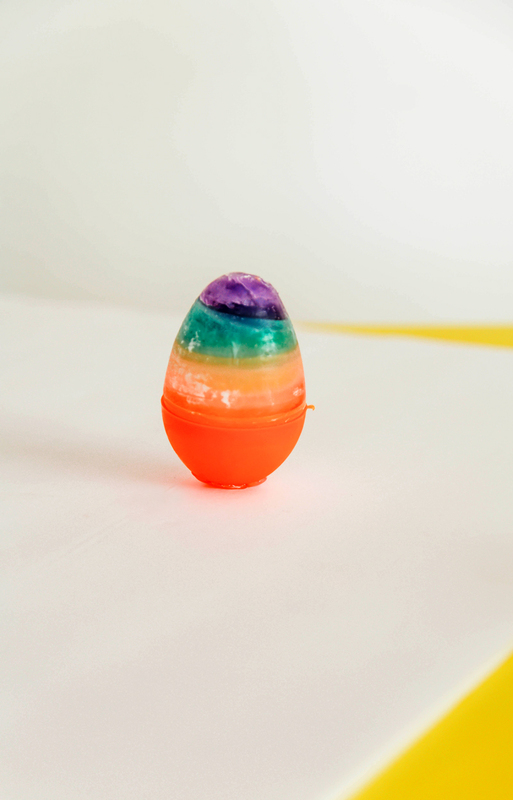 Other plastic Easter egg crafts right here. 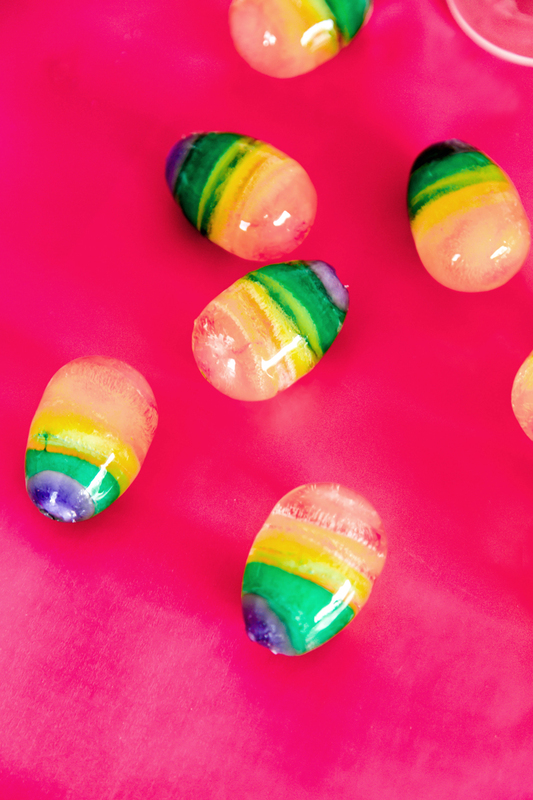 The frozen Easter eggs you make very beautiful and eye-catching.